I had spent a chilly morning being greeted by a golden sunrise and was pulled to the old Terlingua church to use as a foreground for photographs. When I entered the unlocked heavy wooden door I was quietly surprised at the remaining grace and simplicity. A swell of the active past of this church came alive in my heart. The quiet of the moment settled into my body and I felt like a purring cat in a warm place. All trouble and worry was lifted, gone just as the bustle of this place. 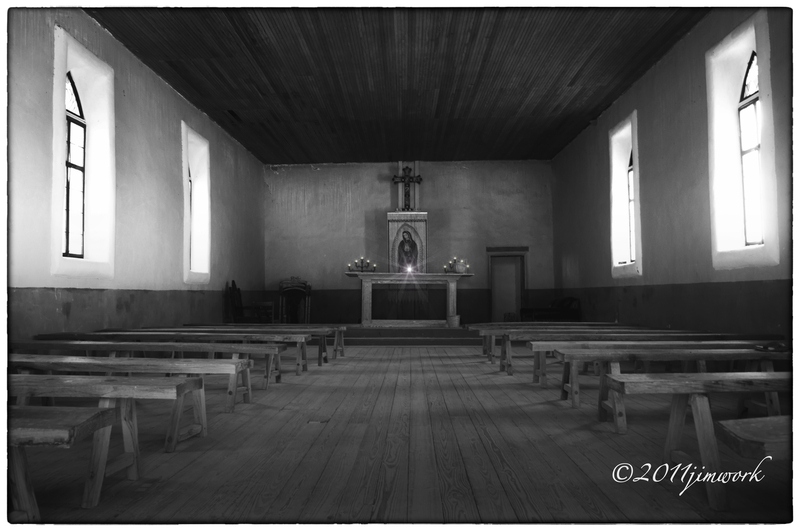 Weddings, funerals, Mass and confessions all echoed as quietly as an old lady working her Rosary beads.